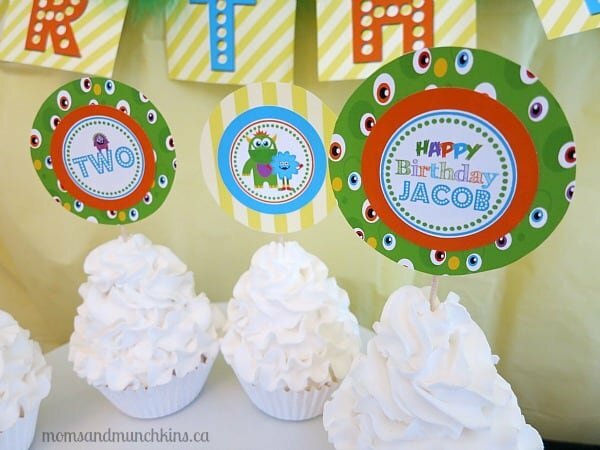 Have a little monster celebrating a special birthday? 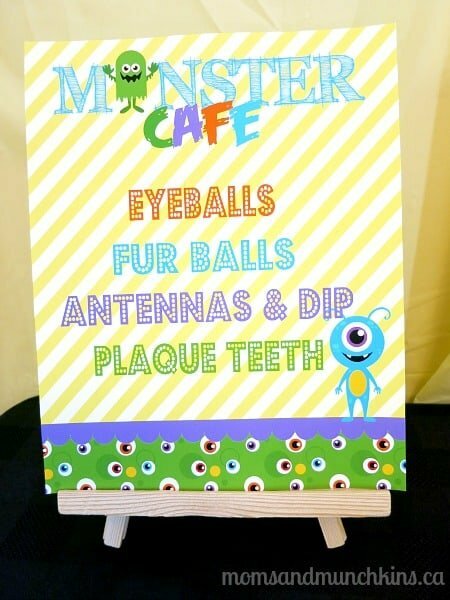 These ROARsome Monster Birthday Party ideas are sure to be a big hit! 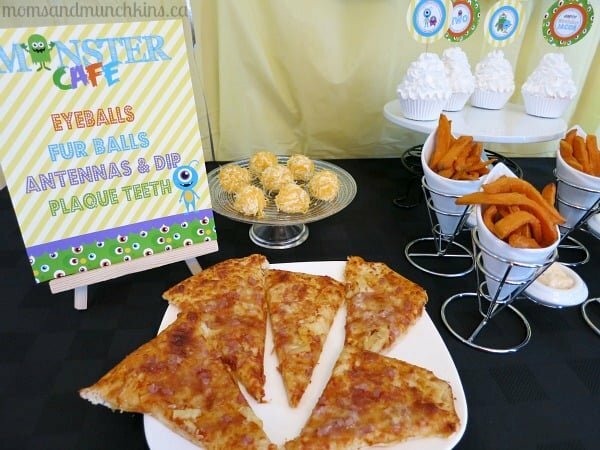 From a slightly gruesome yet totally delicious buffet to creating your own monsters, this birthday party will leave your little monster with some great birthday memories. 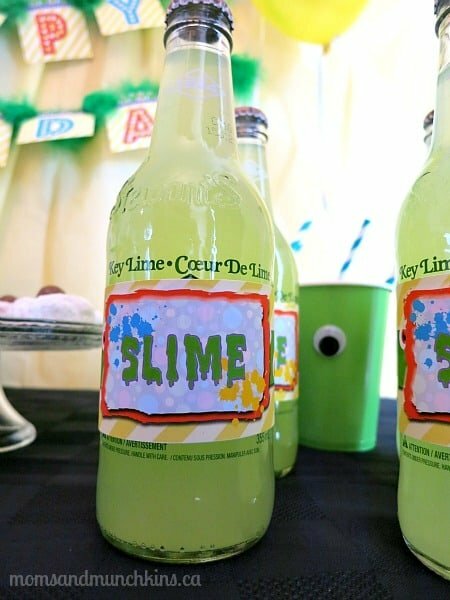 All of the party printables featured here are by Just a Little Sparkle and are available for purchase in her shop. 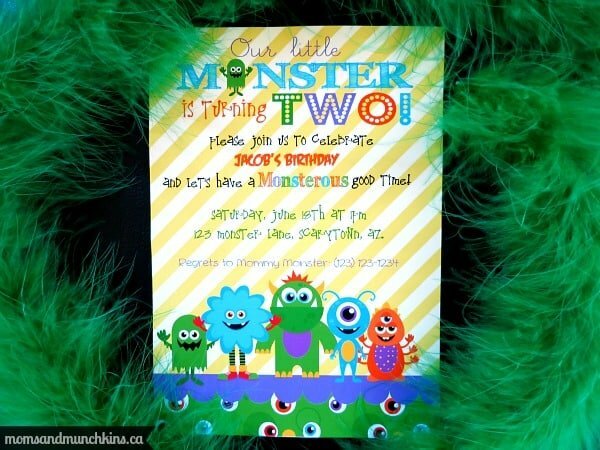 Invite your guests to a monsterous good time with these printable invitations. 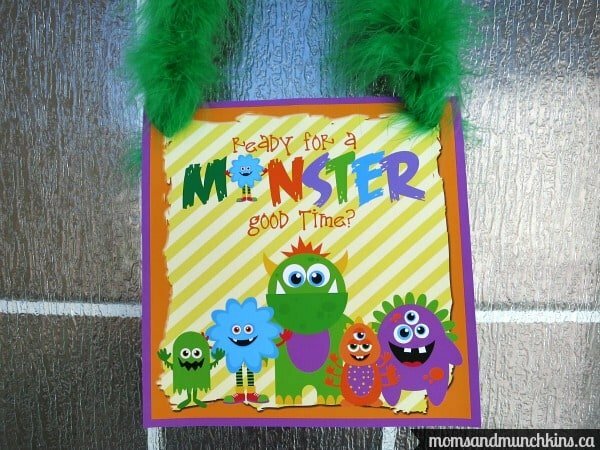 Seal the invitations with a stamp of a monster hand and a few colored feathers sticking out of the envelope’s seal. 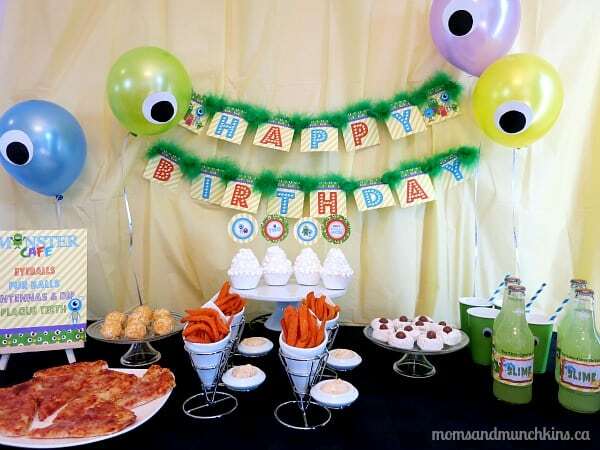 For a monster party, you can use a lot of fur, feathers and googly eyeballs for decorations. 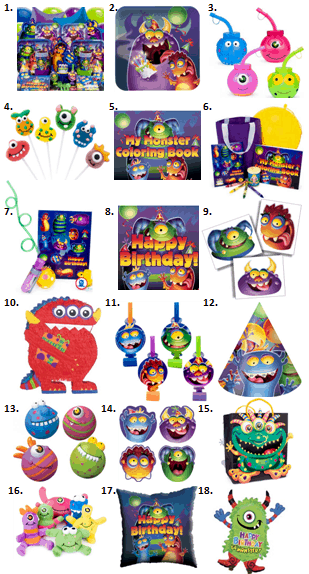 Monsters come in all shapes, sizes and colors so let your creativity run wild with this party! In the first picture above, you’ll see that I used a feather boa to string the Happy Birthday banner together. There were a lot of flying feathers while I was trying to make it (the cats were going nuts) but it turned out really cute. A furry boa can be used to hang this welcome sign on the door to greet guests as they arrive to the party. 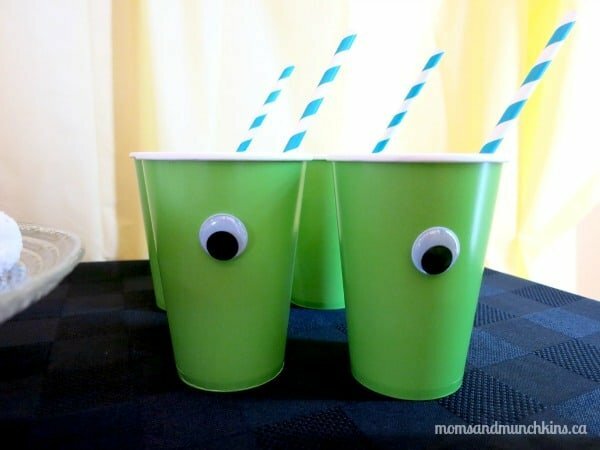 Googly eyeballs can be glued onto green paper cups and topped with colorful paper straws. 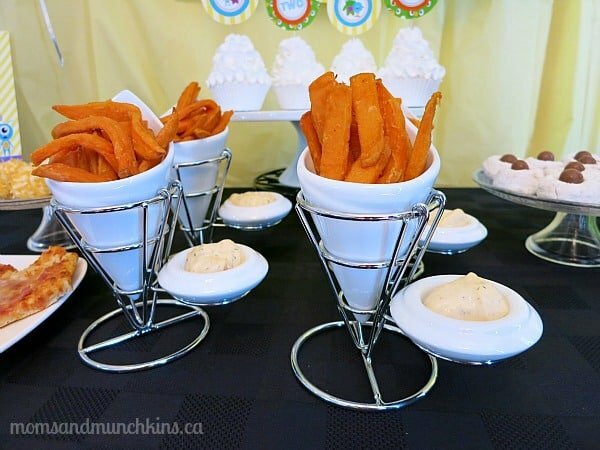 A plastic tablecloth is a really simple way to create a colorful backdrop for your party food table. This can be easily hung with a little bit of painter’s tape. To give balloons a funny face, use double-sided tape to stick on eyeballs. Just make sure whatever you use for the eyes isn’t too heavy or you’ll weigh the balloons down. I love activities that also double as a take-home favor. 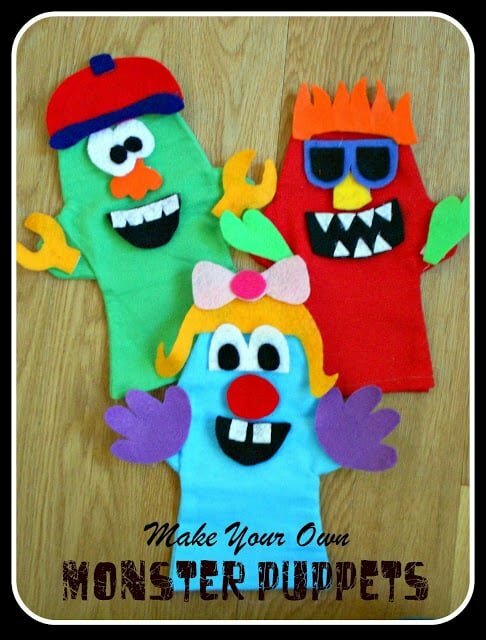 A fun activity for the kids is to create their own monster hand puppets. 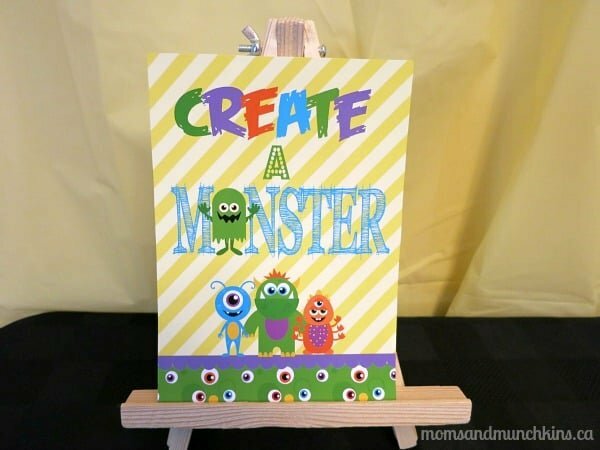 The fabulous ladies over at Six Sisters Stuff have an adorable & ROARsome free printable template along with instructions on how to create your own Monster Puppets. 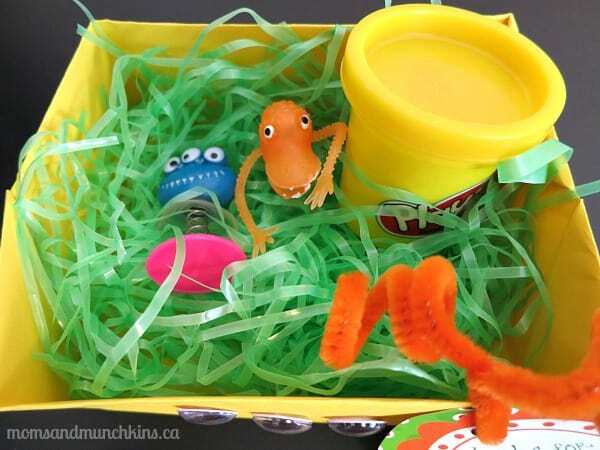 You may want to have the pieces cut out before the party so that the kids just have to assemble them. What would you expect to fall out of a monster pinata? 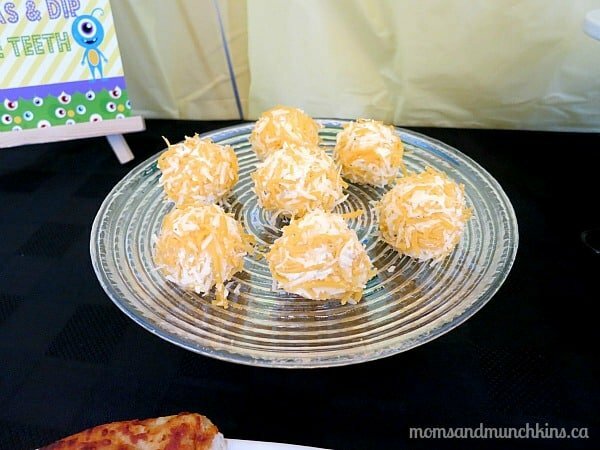 Surprise your little guests with a pinata full of plastic eyeballs! Be sure to have your camera ready for the funny reaction from the kids. 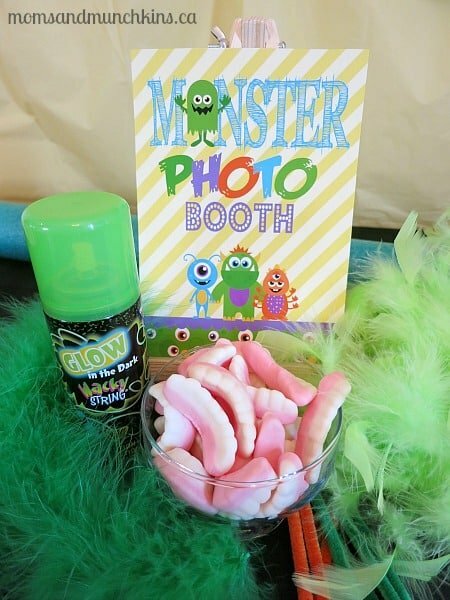 It’s so easy to create your own fun favor bags for a monster party. Simply glue on an eyeball (or 3) to the front of a solid color bag or box. 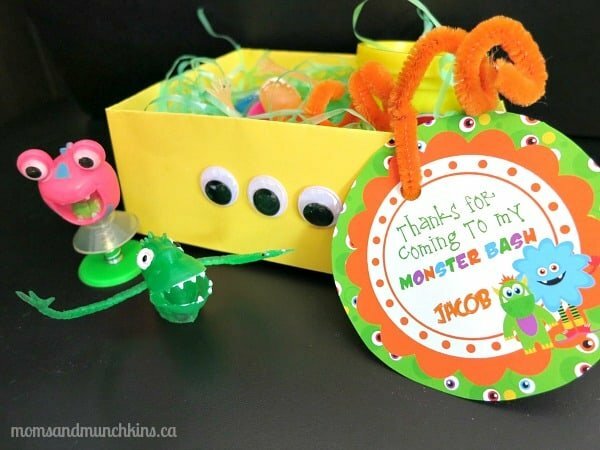 Voila – an instant monster favor bag! 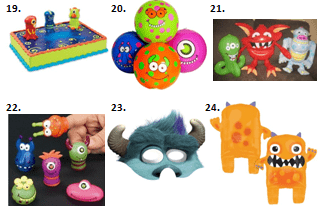 Here are some additional ideas for creating a ROARsome Monster Birthday Party! *Disclosure: The printable party set featured in this post is courtesy of Just a Little Sparkle. I am a part of the Amazon and Birthday in a Box affiliate programs. All opinions expressed here are 100% my own. 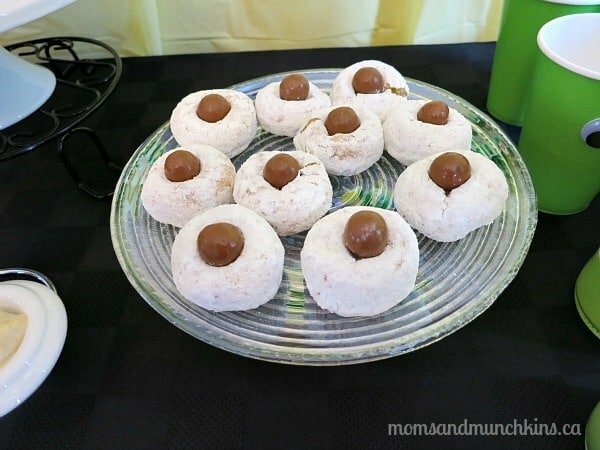 These look like some great ideas. A frozen drink machine is a big hit at kids parties. Watch that green slime. It can do a number on your carpet.